A custom neon sign has been on my wish list for years but the substantial price tag has prevented me from pulling the trigger. What can I say, shoes take precedence! 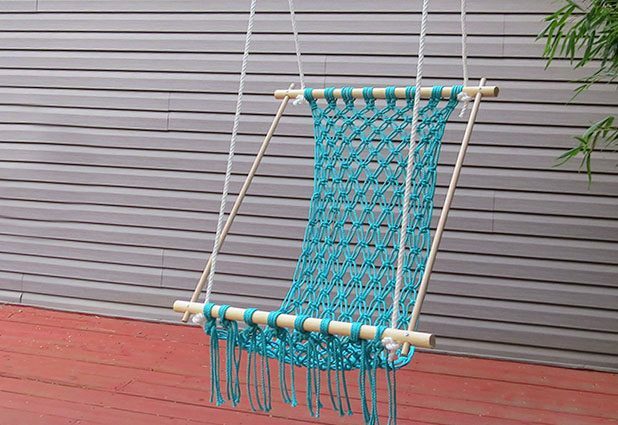 It wasn’t until I recently stumbled upon this awesome tutorial from A Practical Wedding, that I was instantly inspired to DIY my own, giving it my own spin. 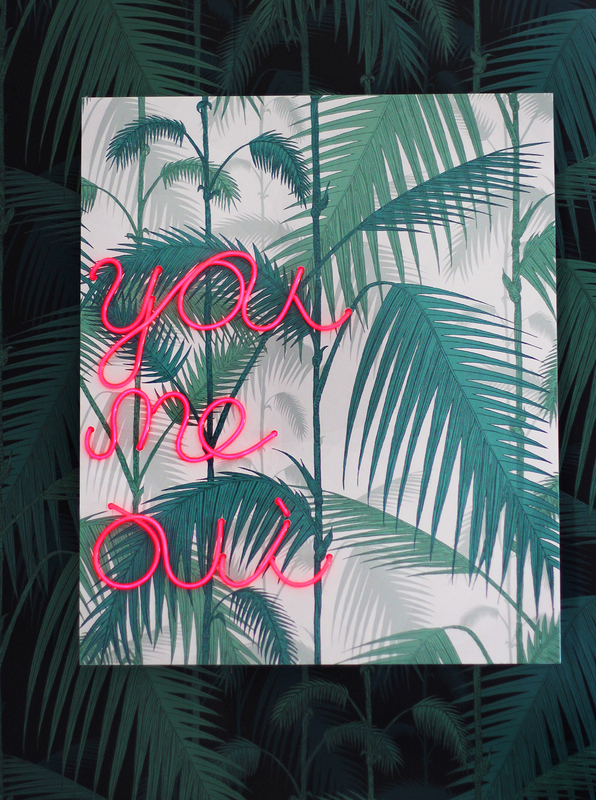 I like being able to customize the sign with my handwriting and choosing a fun pattern as a backdrop. I’m also anxious to make a life size version for my home office. But in the meantime, I can’t think of a better way to express how much I love my Valentine . . The two main components to making your own neon sign is a flexible neon electroluminescent wire called EL wire and an acrylic sheet to which your wire will attach. 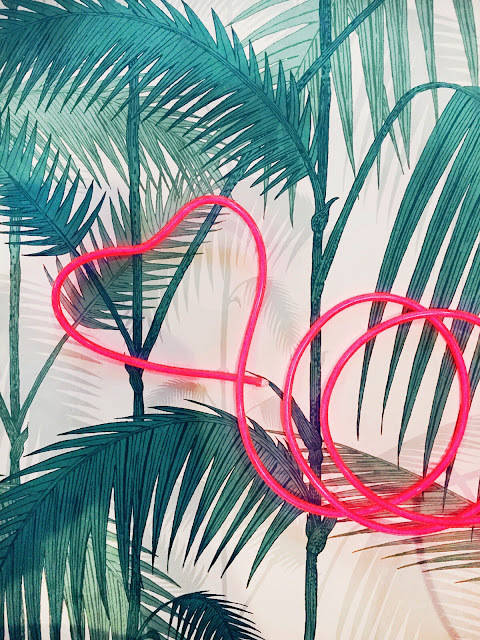 The EL wire can be ordered in different thicknesses, lengths and colors (FUN!). And several online vendors sell acrylic sheets in custom sizes, thicknesses and colors. You’ll want to choose an acrylic sheet that’s at least 1/4? thick as you don’t want to be able to see the EL wire glowing through the front from the backside. 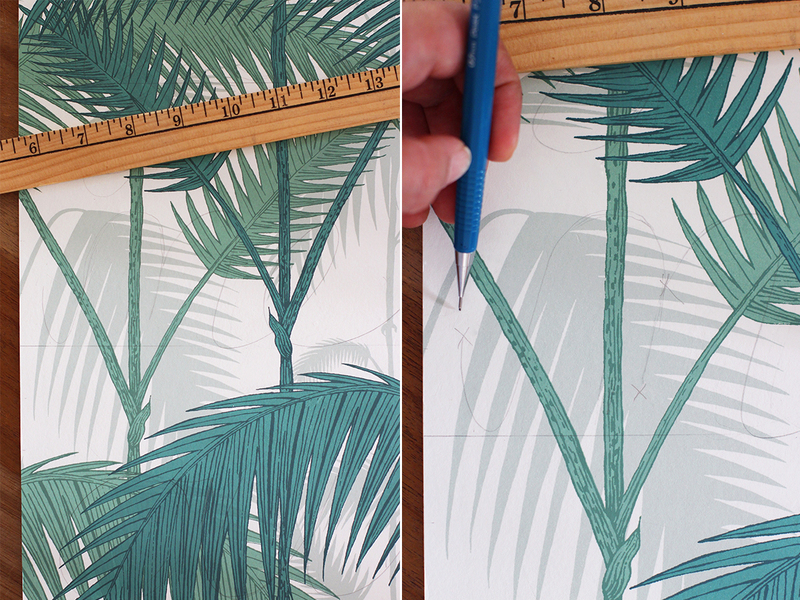 I’ve been dying to use this Cole & Sons palm wallpaper so I decided to cover my acrylic sheet, giving the sign a tropical feel. 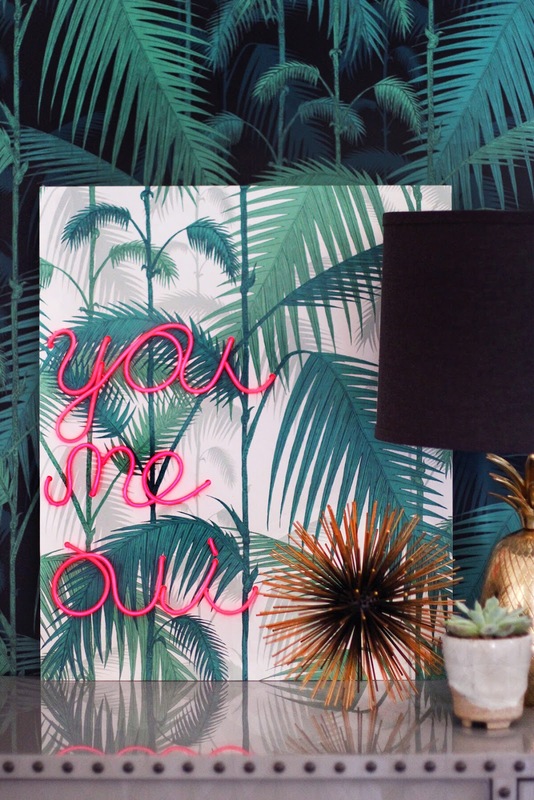 The first step is deciding whether you’ll be making your sign directly onto the white acrylic to adding wallpaper as a backdrop. If you decide to use wallpaper, simply cut the paper to the size of the acrylic sheet. 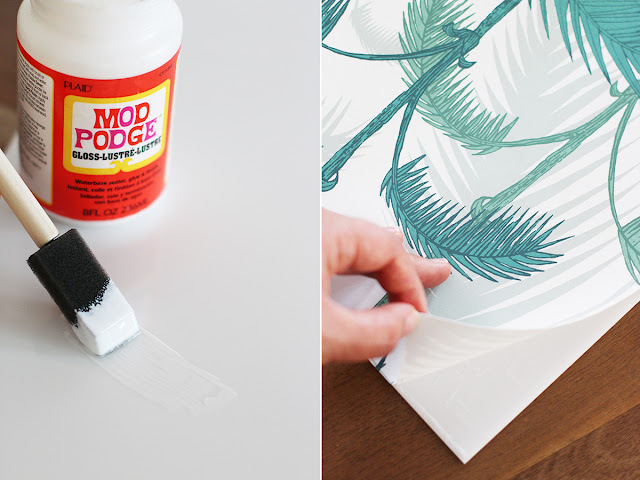 Spread a thin layer of Mod Podge onto the acrylic and smooth the wallpaper over. Run a straight edge or ruler over the surface to get rid of any air bubbles. Allow to dry for at least an hour. Use a ruler to mark horizontal lines on which you will be writing out your text. Then lightly draw out your letters with pencil. Once you’re happy with the placement, you’ll need to mark where your holes will go. Anytime your pencil is lifted or lines are doubled, you’ll need to make the wire exit the acrylic and come back at another point. For example, the letter “m” will have a hole at the beginning of the letter since it’s the first letter of the word “me”. Then another hole will be drilled at the end of the first hump so the wire can exit and return at the beginning of the second hump. This will prevent any doubling up of wire on the front side of the acrylic. Drill through each mark to make 1/4? holes. 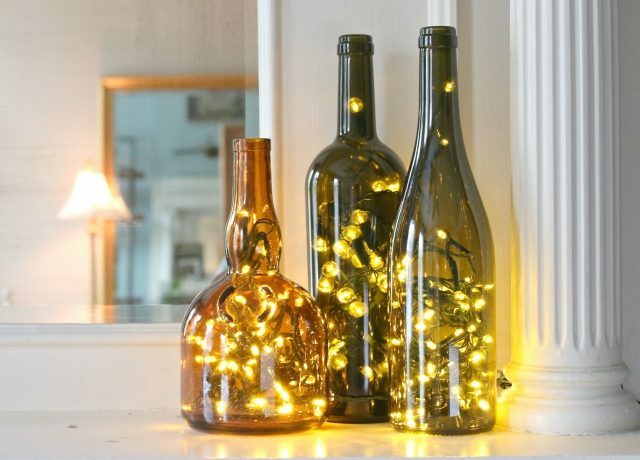 You’ll want to do this outside with nothing underneath the acrylic. 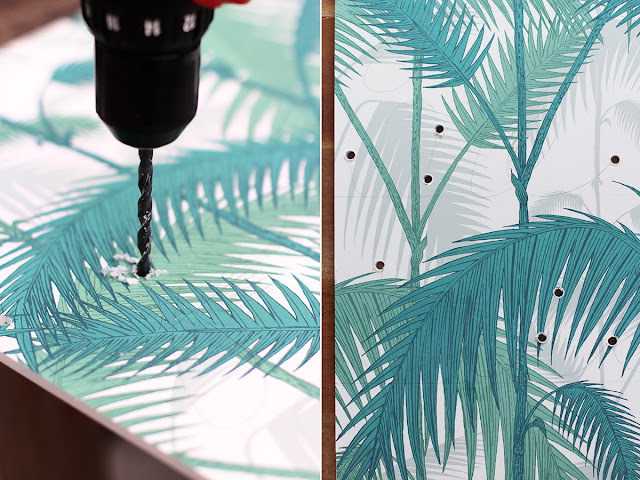 There is no real trick here except to keep the drill straight up and down. Your drill bit should be able to go through the acrylic sheet easily. 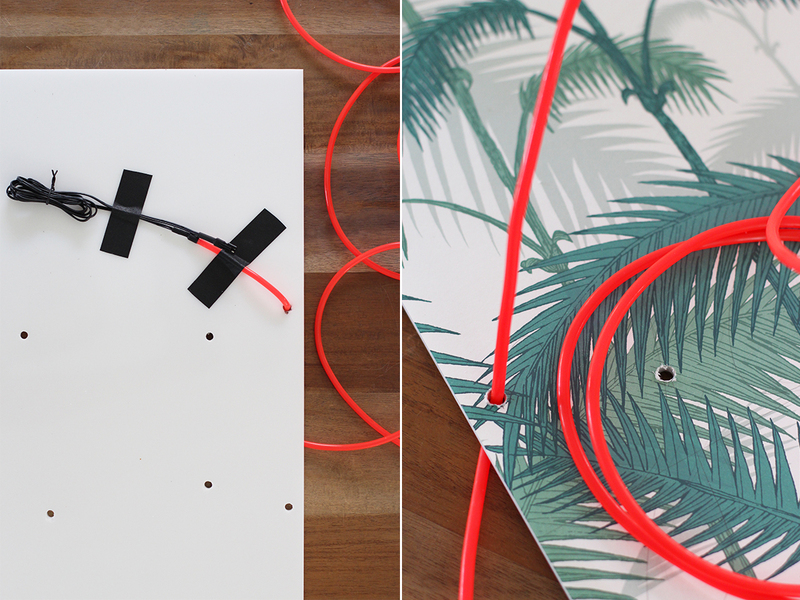 Now tape the end of the El Wire to the backside of the acrylic, without the bulky battery pack. 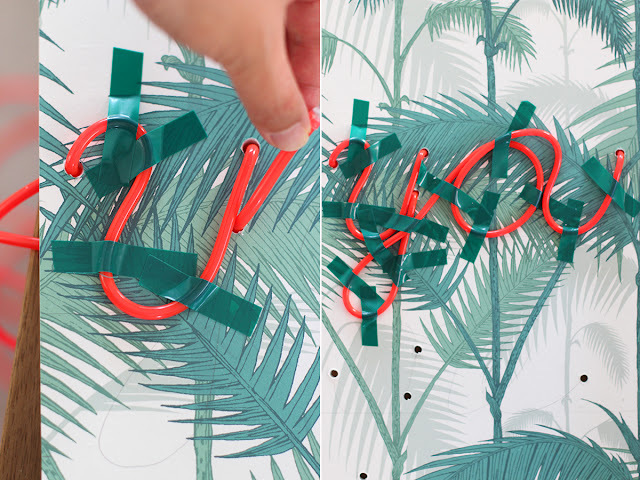 Thread the wire completely through the first hole (first letter of first letter). 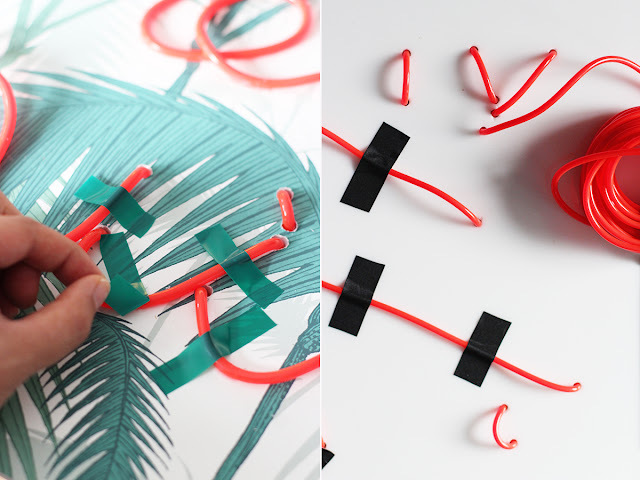 Start forming your letters, tracing the wire along the pencil markings. You’ll want to glue the wire down every couple of centimeters with small dabs of super glue gel. 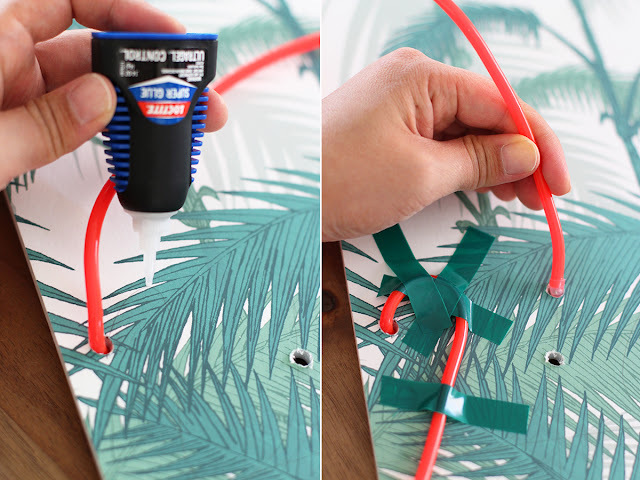 The glue takes awhile to set so tape sections of the wire down with painters tape or any tape that won’t damage your paper. When you reach a hole, push the wire all the way through and then back through the next hole. 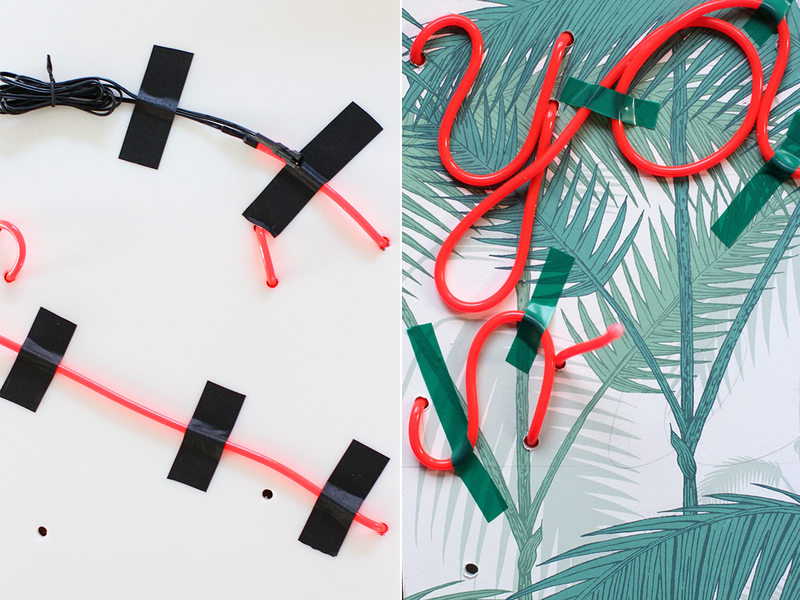 Continue gluing the wire down until you’ve reached the end of the word. Reinsert the wire through the first hole of the 2nd word and tape down the wire with gaff tape on the backside. Once you’re done. Let the glue set for at least an hour. 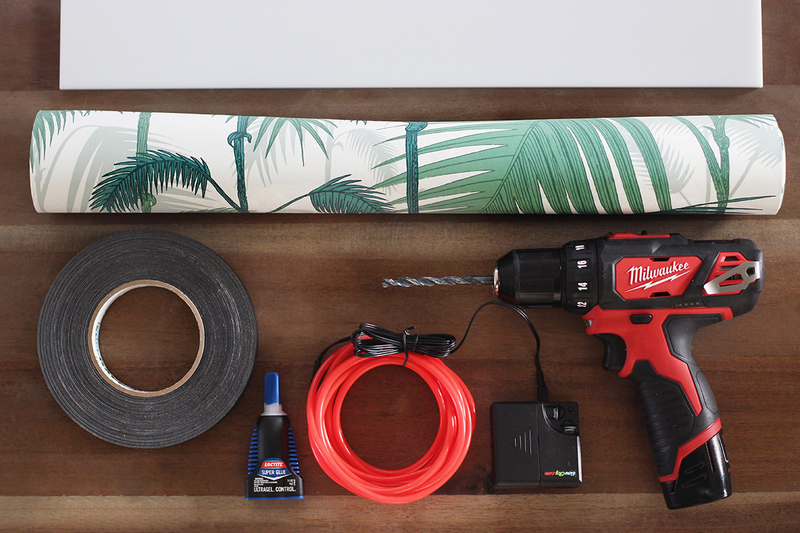 Then go back and carefully remove the tape. Tape down any remaining wire to the back of the acrylic. 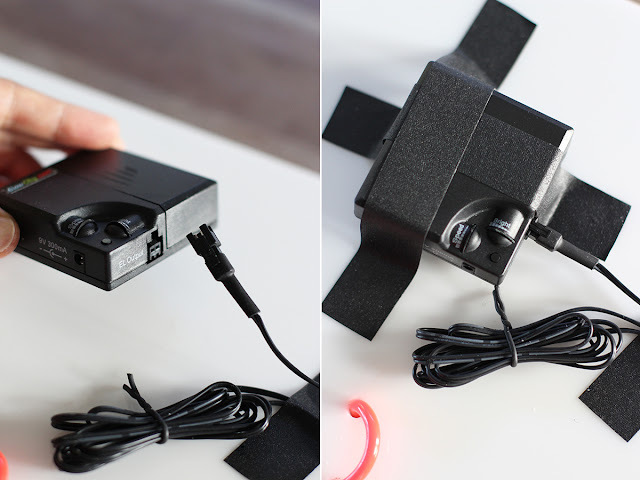 Plug in the battery pack and secure it with gaff tape. Frame the sign or just leave it as is!